I received an unexpected invitation to speak at the first restorative justice conference in Iran. My answer was an immediate “yes”. The journey began in getting my visa and discovering Canada had closed its embassy in Iran as well as all Iranian embassy services in Canada. There is an official warning on the website: “Exercise a high degree of caution”. I would be on my own with no Canadian consular services. I was excited and a little nervous. I became more aware of anti-Muslim stereotypes and Islamophobia that have become common during the “War on Terror”. Political and social constructions of Muslims and Islam as violent, misogynist, and irrational abound. A stark example is Donald Trump’s outrageous racist statements and proposals against Muslims, and the truly scary agreement of so many Americans. It is critical that we separate fact from fiction. That we delink terrorism from a blanket association with Muslims and Islam. Yes the militant group ISIS commits horrible atrocities, which the vast majority of Muslims reject. Yes there are repressive elements within the Iranian political regime and human rights abuses are occurring, as documented by organizations like Amnesty International, the Iran Human Rights Documentation Center, and United Nations. This obviously does not mean, however, that all Muslims and Islam are repressive and abusive. When I stepped behind the curtain into Iran, I discovered an amazing, beautiful world. This is not a world of hatred, but one dominated by kindness. There was not a focus on revenge, but a focus on forgiveness. 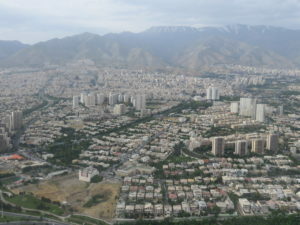 The hospitality began upon arrival in Tehran. The Iranian man sitting in the same row on the airplane and his friend escorted me through to retrieving my luggage, giving me his card should I need anything. It was like being famous with personal bodyguards! I would receive many numbers and invitations throughout my journey. Although it was 2 in the morning, Iman, a graduate student from my host university, was there to personally drive me to the 5 star Espinas Palace Hotel, about an hour away. 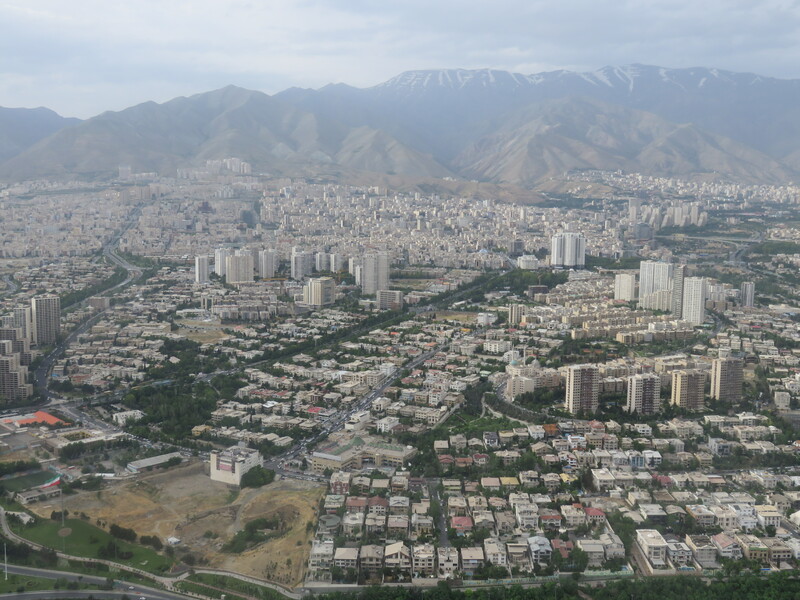 Tehran is a huge, vibrant city of over 8 million. What immediately stood out were the snow-capped mountains, parks and beautiful landscaping. Iranians work long hours, and evenings are a time of gathering outdoors. I loved seeing all the people in parks sitting in circles on blankets with food in the middle, and children playing nearby. Family is a core value. There is such a relaxed, community-oriented atmosphere walking through these public spaces. This is a grassroots expression of the essence of restorative justice as a way of living. On my first day, I walked from my hotel to nearby Parvaz Park. 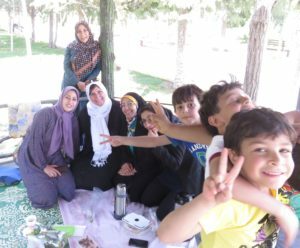 I saw a group of women sitting in a circle having a picnic. I asked if I could take a picture, and they immediately invited me to join them. They didn’t speak English and I didn’t speak Farsi, but we had a wonderful time. We took pictures, drank tea and talked about their children. They insisted I leave with a bag of their homemade food. I experienced over and over again how generous, kind, and welcoming the Iranian people are. They like foreigners and looking after guests is a big part of their culture. I was treated with great respect and literally like royalty the entire time. It is sad that Iranians and Muslims more generally live under the weight of our judgments. Many times I was asked, “it’s not what you expected, is it?” It was no longer a question, just a statement. I was moved to record this short video. Let’s not give in to fears and prejudice. Let us get to know one another and recognize how we are interconnected, more similar than different. Let’s build bridges, not erect more walls. Bridges have a long history and prominent place in Iran. The remarkable, hi-tech Tabiat Bridge (Nature Bridge) unveiled in 2014 was designed by a young female student, Leila Araghian. 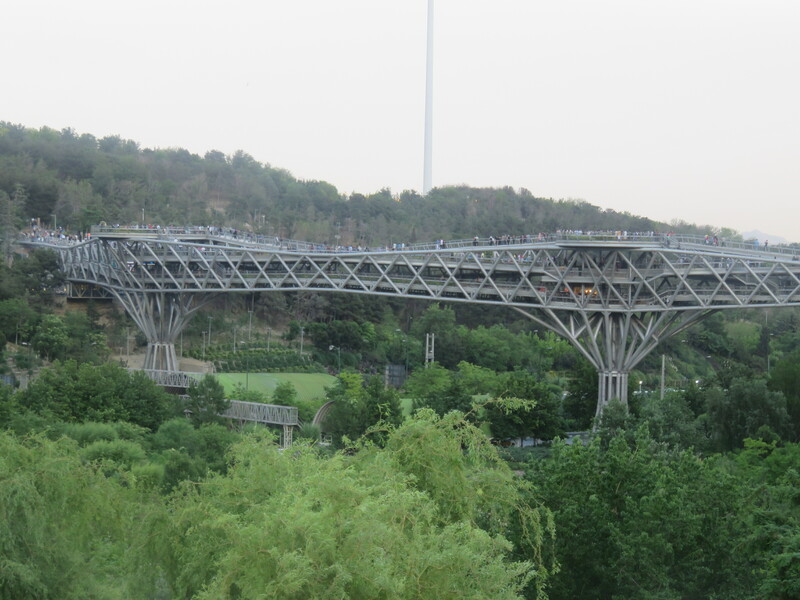 I loved the atmosphere of this three-level pedestrian bridge. 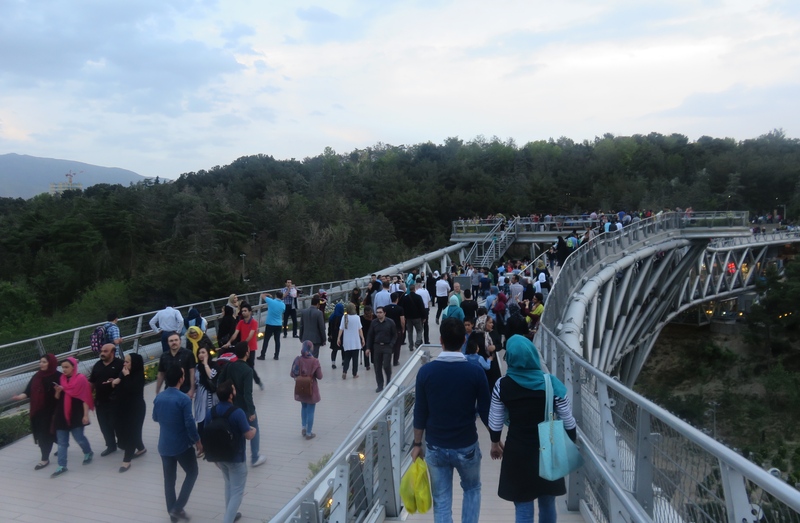 Araghian’s vision for “it to be a place for people to stay and ponder” was fulfilled. Unfortunately, sanctions have prevented full recognition; for example, she was not allowed to enter a top UK architecture competition simply because she was from Iran. It is time we recognize contributions regardless of nationality, religion, gender, and any other identities. So much beauty and possibilities await our recognition. As a photographer, Iran is a dream. Everywhere I looked, images jumped out. In two weeks, I took over 1,500 pictures! 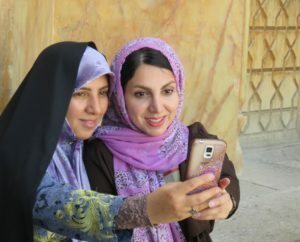 It is easy to take pictures; Iranians constantly take them too. I’d love to share a hundred more stories and photos, yet I’ll sign off for now. Thank you to my hosts Professor Farajiha and Tarbiat Modares University, and to everyone who contributed so much. You have a place in my heart. Beautiful Evelyn. Thank you for sharing a side so few people get to experience or hear about. Thank you Cassie. Yes I am so grateful for this opportunity and experience. You are in iranian hearts. Beautiful, excellent 🙂 Thank you for sharing Evelyn. Iran sure is a nice country nice people and an old culture of this planet.